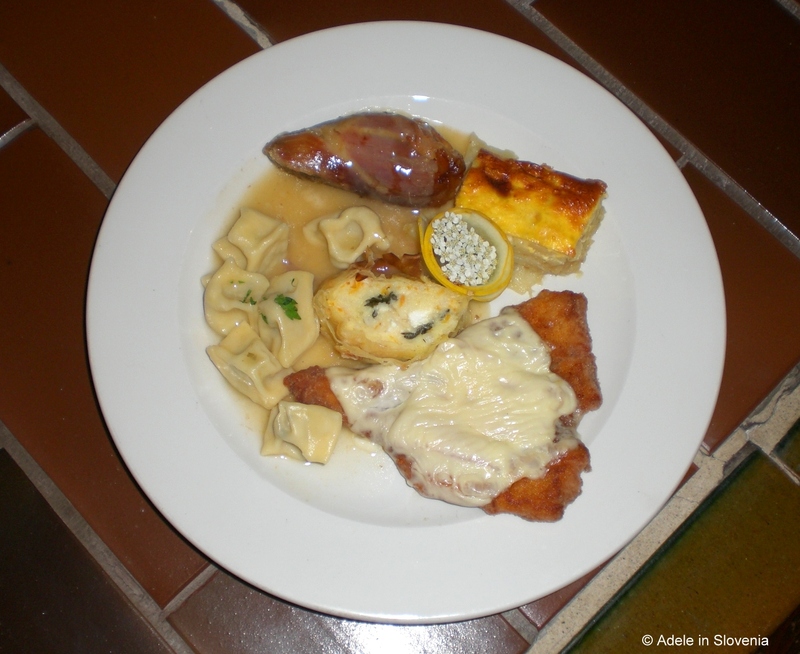 Gostilna Gačnk – Slovene Food and Hospitality at its Best! 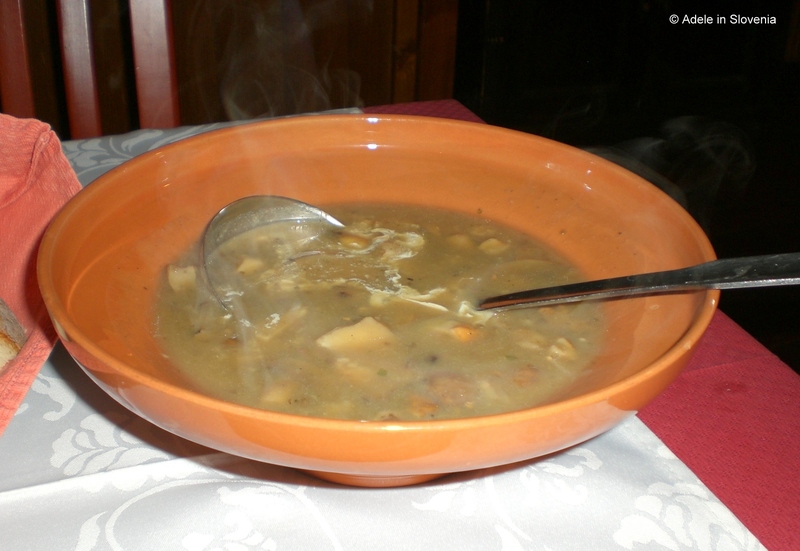 Gostilna Gačnk, in the settlement of Log near Cerkno, is a family-fun traditional Slovenian guest house and restaurant with a more than 100-year tradition. I stayed there last weekend whilst exploring Cerkno and the surrounding areas for a future blog post and had originally intended to just mention where I’d stayed, however, I soon found out that to do so would be an injustice, since this place deserves a blog all of its own, so, here it is! Despite being mid-summer, on the day of my arrival it was unseasonably chilly thanks to a brief cold front that had spread across the country the day before. So, I took a seat next to the wood burner, had a cup of tea (as we English do! ), and enjoyed a lovely natter with the very affable owner, Matjaž. 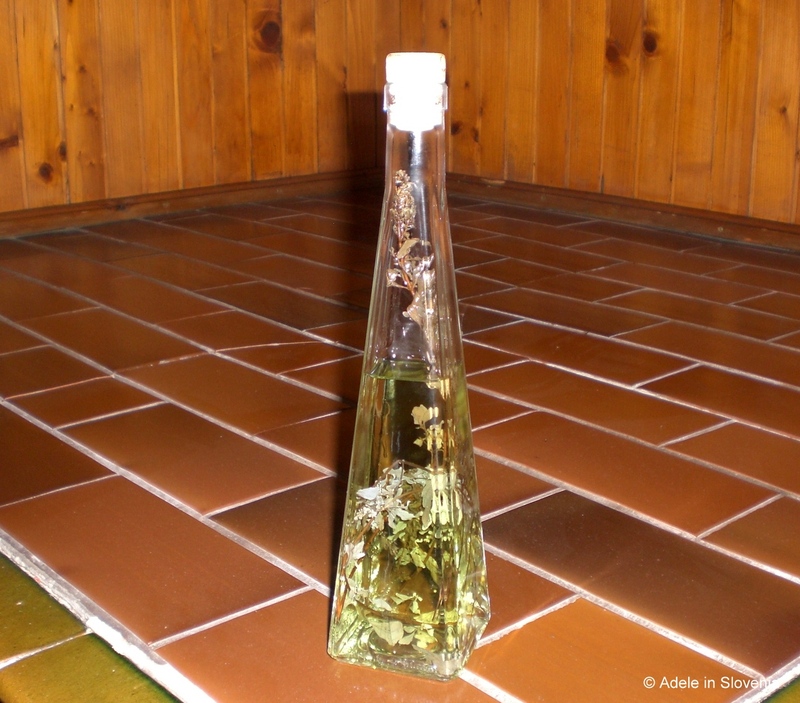 After discussing what to see and do during my weekend visit, and following a short walk, I was offered a glass of homemade schnapps made from ‘palaj‘ (Latin: Micromerio thymifolio), which grows exclusively in the area around Novaki, specifically on and between the peaks of Kopa and Porezen, and, as such, is a real speciality and rarity. This was just a prelude to the excellent hospitality and meals I was to enjoy over the weekend. For a change I had some company for dinner, when a fellow blogger, who lives in Cerkno, joined me and was to prove great company as we shared tales of blogging. We left it to the team in the kitchen to surprise us with some local delights (other than instructions from me for ‘no fish!’). 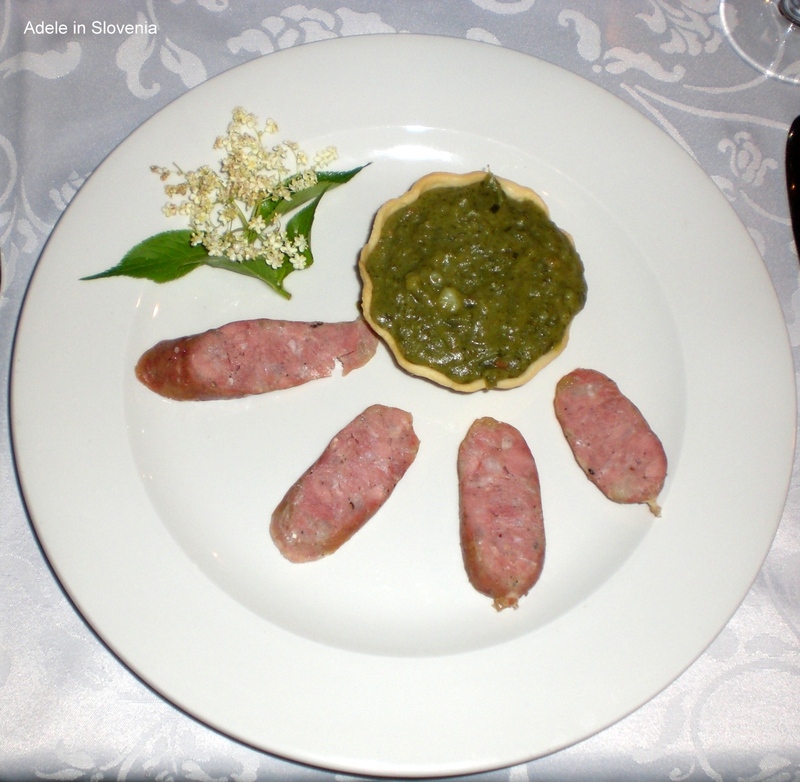 I particularly enjoyed the starter as it was something I’ve never tried before – ‘smukavc‘ – a thick soup made from cabbage and served in a pastry ‘bowl, with home-produced sausage. 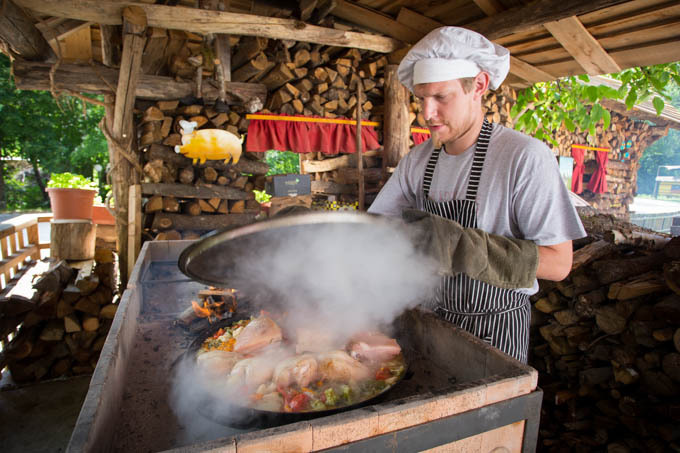 Gačnk specialises in dishes cooked outside over an open fire and other traditional Slovenian dishes such as žlikrofi and štrukjli. 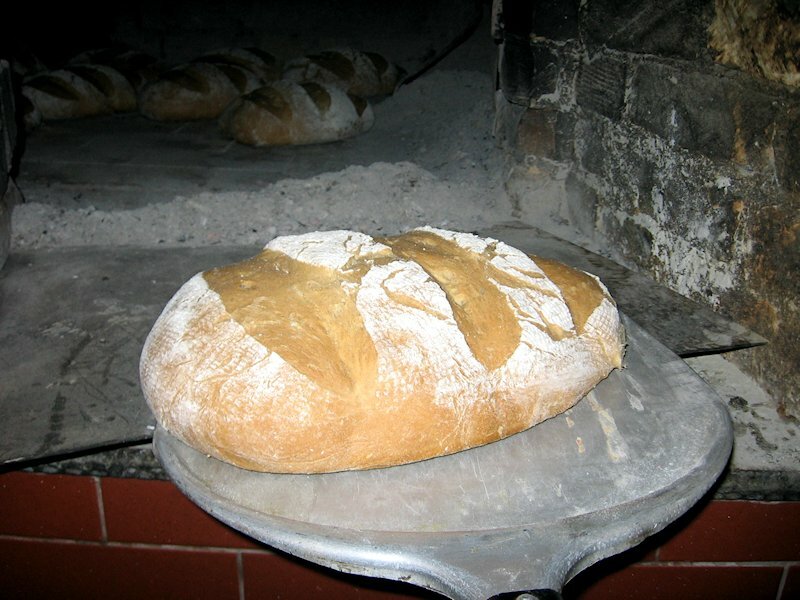 As I was planning a full day of exploring the next day, I arranged for a ‘packed breakfast’ which was excellent and included bread freshly baked in the clay oven, which is a weekend speciality at the gostilna. Gostilna Gačnk is ideally situated for visiting the Franja Partisan Hospital, the entrance to which is only 10 minutes away on foot. The gostilna’s main dining area is dedicated to the physician Franja Bojc Bidovec, after whom the hospital was named. After a full day out exploring, I returned starving and eagerly awaiting dinner. There was also a wedding taking place, one of many that are held regularly at weekends here, so I was able to look on and enjoy watching others enjoying their celebration whilst savouring a beautifully presented, and equally delicious, dinner. Though it could be considered a little out of the way for some, Gostilna Gačnk is actually excellently located for exploring the Cerkno area, and even further afield, particularly if you like hiking, skiing, cycling, or other outdoors activities and are seeking peace and quiet. I will be writing plenty more about what to see and do in the area in a future blog coming soon, so stay tuned! 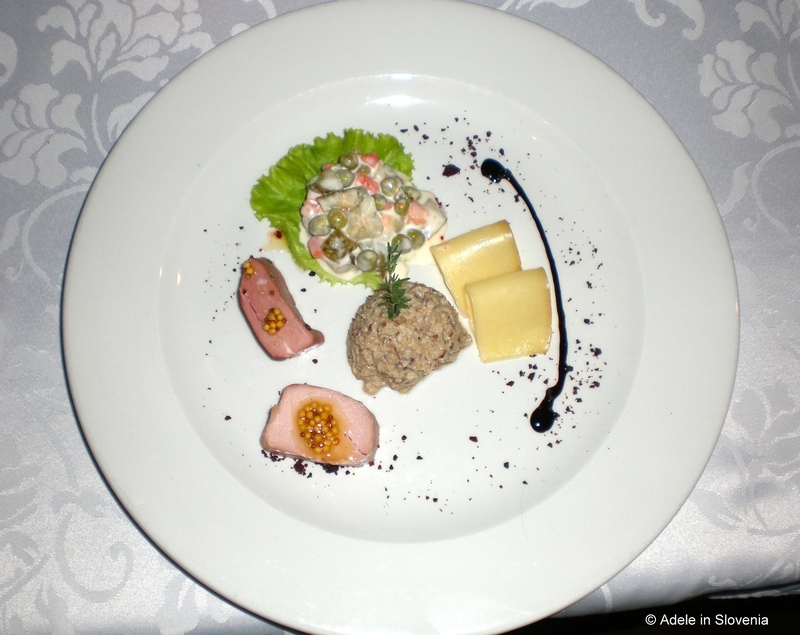 « Spend a Night with a Knight at Opulent Otočec Castle!